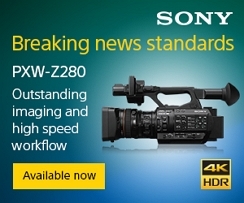 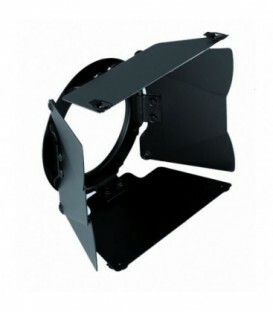 The DP400 projection attachment is a modular system enabling quick change and versatility.Model universal. 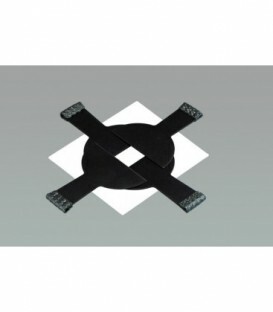 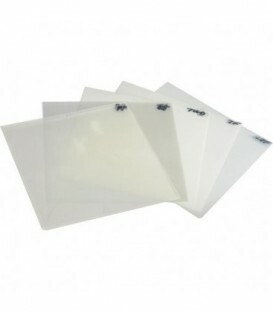 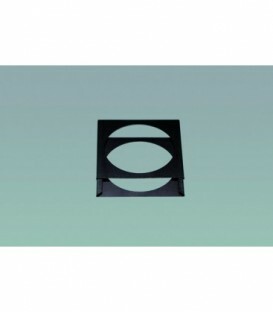 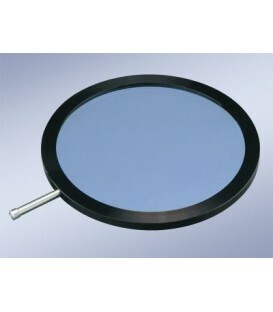 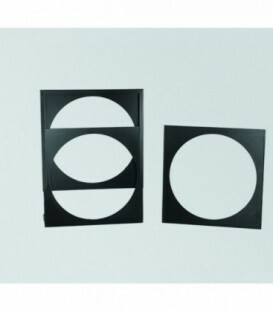 Consisting of four framing shutter leaves - which can be used on their own or together with a gobo holder to cut the projected image to a desired size. 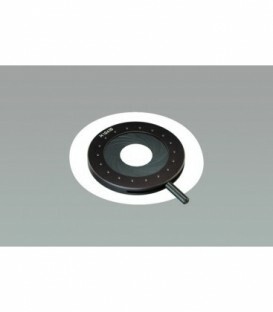 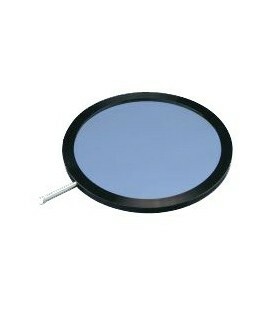 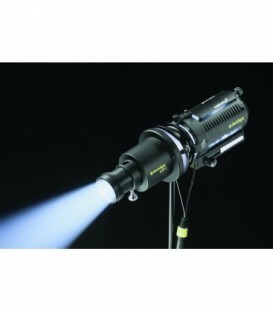 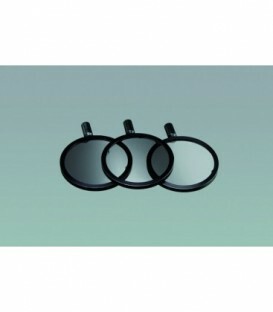 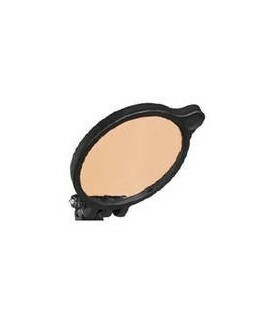 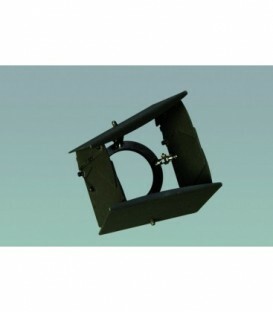 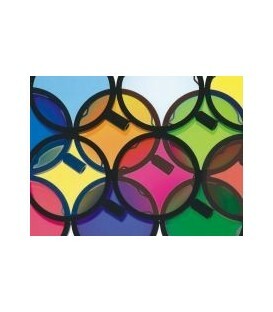 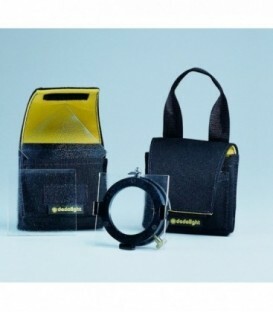 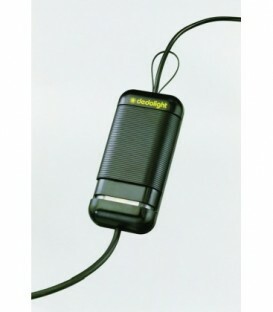 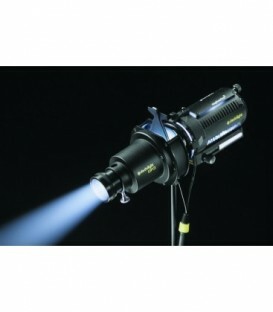 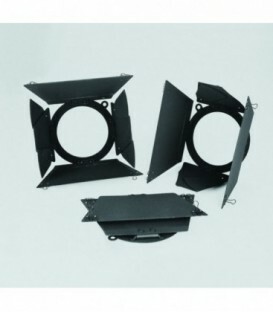 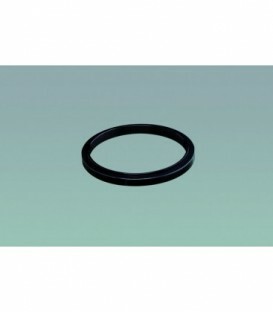 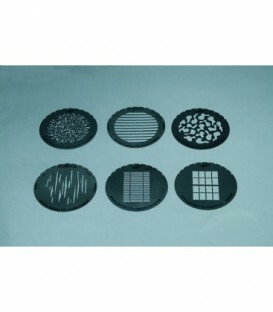 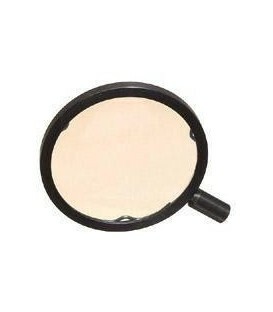 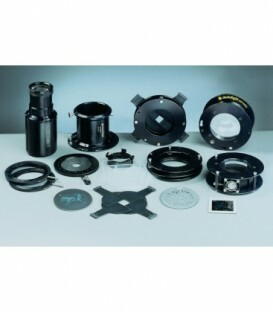 Gobo sets are available in M size for the classic series DP1 and DP3.